This is part 3 in a series of posts offering advice to American undergraduate students interested in studying abroad in Japan. My year in Japan was almost entirely spent in Tokyo. Some of this advice is surely applicable to other parts of Japan, but for this article, I want to impart a little bit of what I learned as I spent a year calling Tokyo my home and falling in love with it more every day. The public transportation system in Tokyo is truly something wonderful. It’s famous for its punctuality and abundance (and, during rush hour, its white-gloved people-pushers). There are very few places within the city that aren’t within ten or fifteen minutes’ walking distance from one or more rail stations. Most everything else can be reached by bus. The trains may often be crowded, but they are relatively inexpensive and run so frequently that you usually don’t have to plan your intracity trips and connections with too much detail. Go to the station and if you missed the last one, the next one is coming soon. 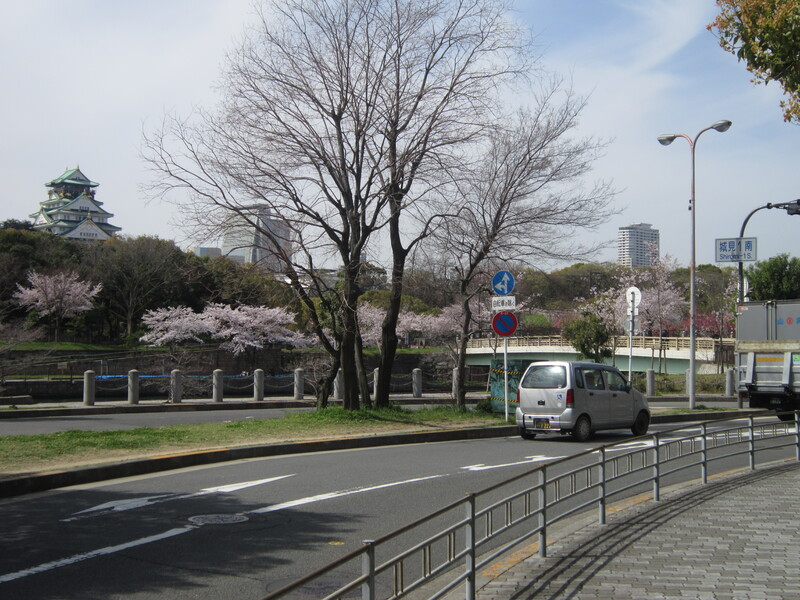 However, Tokyo’s greatest secret is that it is surprisingly walkable. The first time I visited the center of Shinjuku from my dormitory in Nishiwaseda, I was instructed to go to Takadanobaba Station, a walking trip that was almost twenty minutes in itself and then board the Yamanote Line for two stops (about seven minutes) to Shinjuku Station. 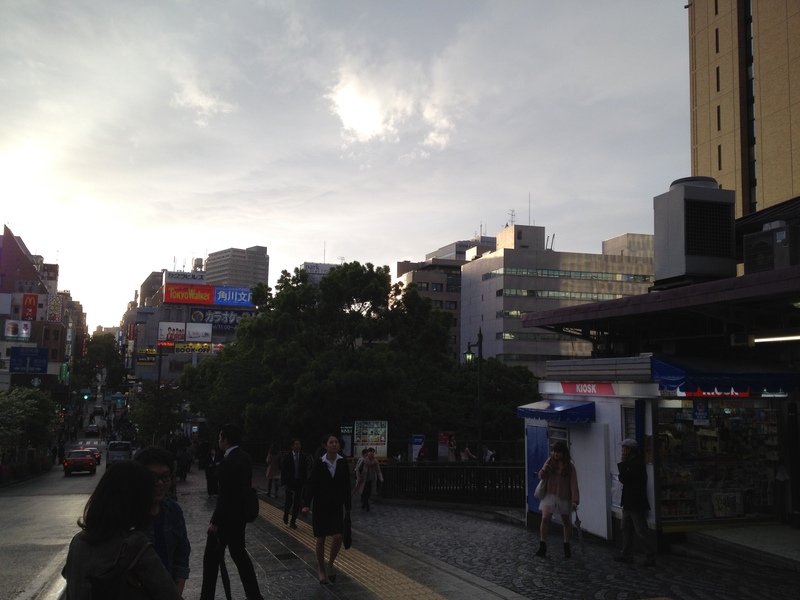 Later I discovered that Shinjuku is really only about forty minutes away by foot. It’s a long walk, and one that I might typically avoid if it was part of a daily commute, but as a place I visited only a handful of times, it provided a nice, short walk through some interesting neighborhoods (a quick detour could land me in the heart of Shin-Okubo, or Kabuki-cho). Similarly, Ikebukuro, Iidabashi and Kagurazaka, and certain parts of Bunkyo Ward were within forty minutes’ walking distance. When it was rainy, I was tired, or pressed for time, I’d elect to use the subway to reach these places, but if I had a few minutes to spare, I took to my feet. And it saved me at least a bowl of Chikara Meshi’s delicious gyuu-meshi in transportation costs. Not everything is reachable from everywhere (I can’t recommend a direct, two-hour walk from Ikebukuro to Shibuya, and the suburbs further from the city center are more spread out (the really neat Edo-Tokyo Open Air Architectural Museum in Koganei requires a bus stop from the station, or a good half hour of walking)), but it’s often worth consulting a map to see where you can get to. 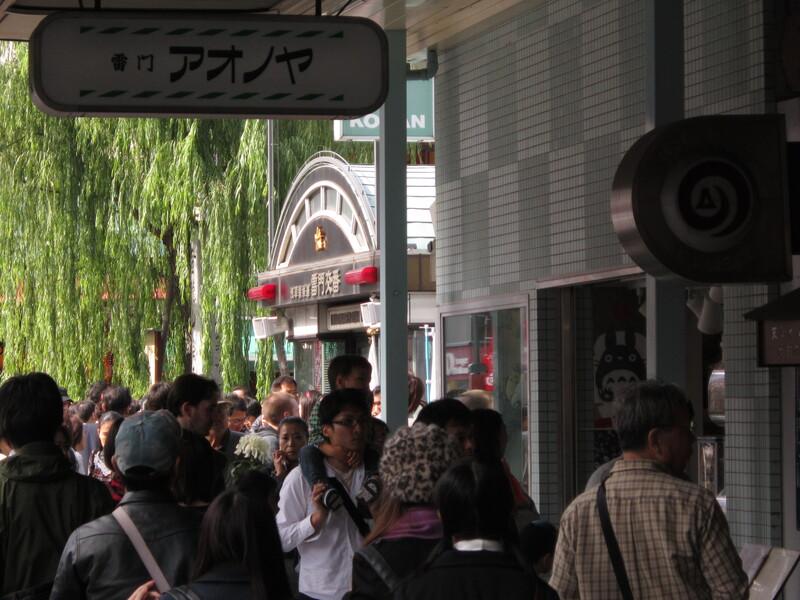 Many people navigate Tokyo simply by station-hopping, riding a train from Tokyo Station to Shinjuku to Harajuku. When I hear complaints about Tokyo as a city, they’re often that the city is overcrowded and too dense with businesses and skyscrapers. It’s certainly true that a lot of people are crammed into this city. Yes, even the residential neighborhoods you find yourself in will have narrow streets. But the densest, most chaotic areas are often right in front of the large JR Stations, which many people never get away from. Stepping away from these and exploring the neighborhoods, museums, parks, markets, shrines, temples, and numerous other attractions. Wandering just through the stations can give one the sense that Tokyo seem like a giant, interconnected airport terminal, all concrete and yellow paint with the same chains of stores both within and without (I overstate my point a little bit—there are a lot of interesting things to be found on both sides of station gates). Often, entering a large station complex will require almost around half a kilometer of walking or more just to get to your intended platform. This may not be entirely dissimilar from my first point, but this is another tip to getting the most out of the city. For some reason, a lot of people rely solely on the major JR lines and disregard the other forms of transportation available. Most especially, the Tokyo Metro and Toei (connected at some points, the Metro is a private company and Toei is managed by the Tokyo Metropolitan Government). With the spring of 2013, your IC card (Suica and Pasmo in Tokyo and a whole host of others nationwide) works on most forms of public transportation all throughout the country, so using the Metro is no different from using JR. An IC card is a piece of plastic you charge with money and swipe at the entrances and exits of station entrances or buses and it automatically calculates what to deduct for your journey (incredibly convenient, the initial cost is 500 yen—and you can get your money back when you leave the country). To be sure, JR lines are convenient and prominent. Their stations (though often connected to an underground subway from within) are spacious and attractive, with major meeting hubs inside or outside, such as the famous Hachiko statue at Shibuya Station. Subway stations tend to have numerous entrances scattered about neighborhoods (I once told a friend of mine to meet me outside the Nishiwaseda Station and he went to an entrance about half a kilometer away from where I thought we would meet), looking like little more than a doorway and a staircase. 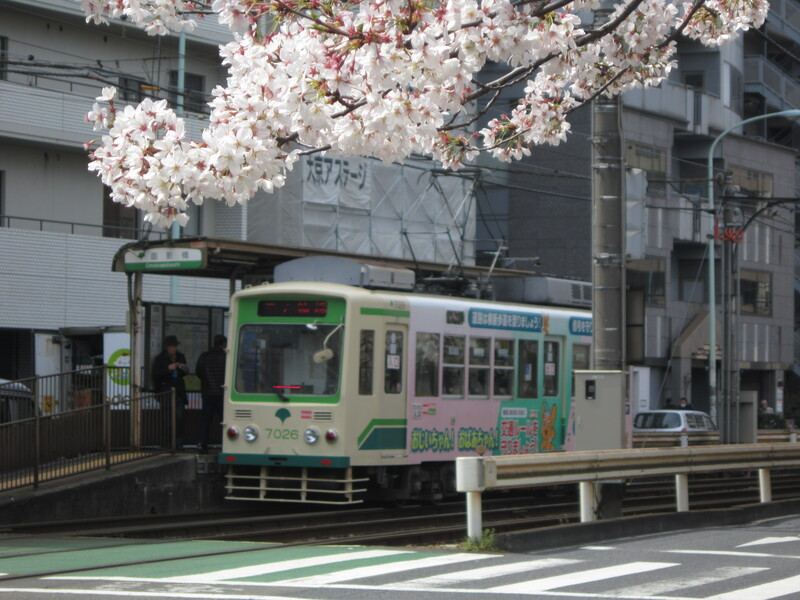 And in terms of transportation between the commercial and industrial hubs, the Yamanote Loop is rightly famous and popular, zipping you around the city quickly and efficiently. However, the underground will grant you access to a vast network of interconnected stations running through nearly every corner of the metropolis. In my experience, they are not only typically more convenient, they’re often less crowded, and even sometimes less expensive. The subway lines are ever-increasing, too. The Fukutoshin line opened in 2008, and now becomes a Yokohama-bound train after Shibuya station. If you elect to have a smartphone while you are in Japan (as it’s very likely you will), using an application like Google Maps to plan your routes will show you your various options between your origin and your destination. I actually used Google Maps almost every day, using my phone’s GPS function to locate my starting point, feeding my destination to the app by search or a dropped pin, and then letting Google figure out the rest. It would offer a number of options, including estimated walking time and the cost for each route, including transfers. If you want to plan a trip in detail and in advance, Jorudan is also great, though you’ll need to specify what stations you’re starting from and stopping at. As another side note, be sure to check out the Toden Arakawa Line (the last remaining streetcar service from the heyday of Tokyo’s electric lines) some time, especially if you’re a fan of trains. It’s 160 yen for a one-hour ride (or shorter, if you don’t go all the way) from Waseda University, through Sugamo, and to the heart of shitamachi in Minowabashi (near the old site of the infamous Yoshiwara pleasure quarters). Even if you don’t particularly care for trains, since it goes through mostly residential and quieter commercial areas, it’s a great overland way to see parts of Tokyo you might not see otherwise. I made several different day trips to different parts of the city based on what I saw out the window of my cute little old streetcar. Convenience stores (conbini) are ubiquitous in Japan, and especially in your dense urban areas. In the Waseda area, there are two Family Mart locations that face each other across the street, assuming you don’t want to go to either of the Lawson locations nearby. They are wonderful places, open twenty-four hours, and packed full of all kinds of goods, from pencils to bento to beer (and you’ll either come to love or hate their earworm jingles). You will probably pass several on your daily commute and the temptation to grab breakfast, lunch, and/or dinner there every day will be pressing. Don’t do it! If you have to think about money at all—and you probably do—make sure to center your food habits around grocery stores and maybe your local greengrocer, not conbini. Fruits and such can be expensive in Japan, but you’ll eat healthier and cheaper if you make regular visits to the grocery store instead of a spontaneous stop for yet another armful of pastries, fried things, and candy at a Seven-Eleven. Even the same delicious junk you get at conbini will be cheaper at grocery stores (chips, yogurt, Hi Chew, beer). Japan’s grocery stores are a little different than, say, American grocery stores. They tend to open later and close earlier than you might expect. Of course, conbini have their place. The 105-yen Lawson 100 stores actually get you a lot of groceries that are more expensive at many supermarkets (though some things are more than 105 yen, and some cheaper things are more expensive there). After most of my part-time shifts at an English conversation school, I stopped at Sunkus to get some kawa yakitori (chicken skin skewers). At 88 to 105 yen apiece, it was a great indulgence. And there are few things I like to eat more than Family Mart’s fried chicken patties, famichiki. You can’t get those anywhere else, and they’re indispensible. Be mindful of how and when you eat out, too. Especially when eating out with others—in Japan, it is customary to simply split the bill, especially at izakaya, where most will be ordering several rounds of drinks and food will be shared among the table—meals easily exceed 3,000 yen. Throw a few hours of karaoke on after, and you’re easily looking at 5,000 yen for a night’s entertainment. These nights are necessary now and then, but be sure to balance them with lower cost eating out and home meals. Eventually, I will return to Tokyo. Given this, I assumed I would be safe to skip a proper trip to the Tsukiji fish market to witness its morning trading rituals and auctions during my year there, thinking I would catch it next time. However, it’s very likely that when I return in a couple years, the market will have moved to Toyosu. An era will have ended, and I will have missed my chance to see it. Tokyo is ever in flux. 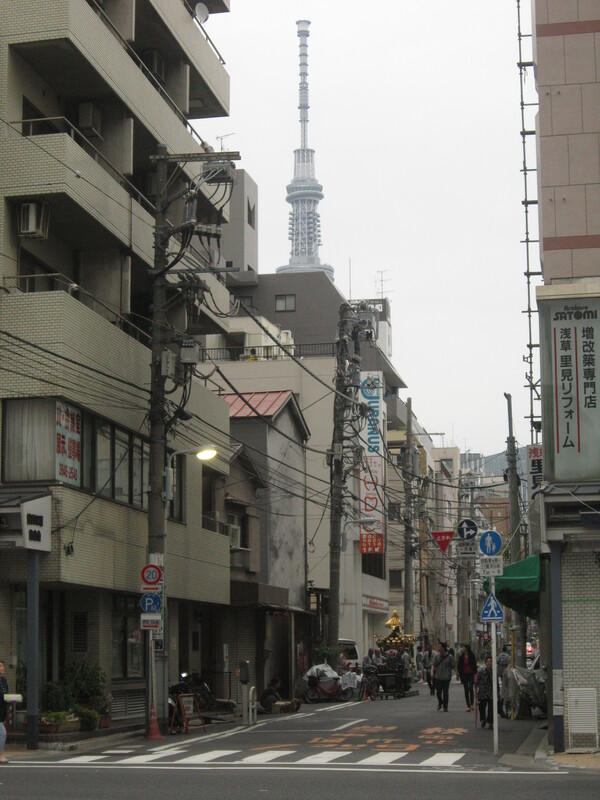 I arrived just a few months after the towering Tokyo SkyTree opened, a permanent change to Tokyo’s decentered skyline. While I was there, Fujimi-zaka in Nippori—allegedly the only place from within Tokyo where you can see Fuji from the sidewalk—lost its view of Fuji due to skyscraper construction. So appreciate the moment. The Tokyo you visit today will be different in three years, and it may even be different tomorrow. With the coming 2020 Olympics, who knows what changes to the face of the city are on the horizon? When will the last of the Taisho period copper-faced buildings behind Akihabara disappear? Many areas will have limited-time public events. The Ukiyo-e Museum in Harajuku changes its displays monthly. Some festivals are only put on every so many years, and even the annual ones change with time. Also, locate yourself in the history of the city, if that kind of thing is appealing to you. There are numerous historical markers—often partly in English—around the city if you just look for them. Local shrines and temples sometimes have historical information about the neighborhood posted somewhere, including historical maps of Edo period or prewar Tokyo. That is how I learned the tiny, concrete park near by dormitory used to be the size of nearly the whole block. If you are in Waseda, the area is lousy with sites connected to famous Meiji-era intellectuals, the Ana Hachiman Shrine puts on some famous Yabusama horseback archery, and the Zoshigaya cemetery is close by. Did you know most bridges in Tokyo have names? Tokyo used to be navigable mainly by waterways, and even though many of those have been filled in, the life of the city’s rivers are still important, and the names and plaques near the bridges might give you a sense of what the city used to look like. If you’re looking fora good, entertaining, and fairly in-depth look at Tokyo’s historical development, I strongly recommend Stephen Mansfield’s Tokyo A Cultural History (Cityscapes) . Reading this text armed with a lot of good information and an inquisitive sensibility, making my sojourning more rewarding. Some will suggest you get a Tokyo guidebook. You can, and especially if you are going to be spending a shorter time, it may be helpful. However, the one I bought gathered dust on my shelf, as I explored the city through word of mouth, activities with friends, and my own adventurous impulses (my favorite itinerary on a day off: take a train to some arbitrary, interesting-sounding spot and then look around on foot finding interesting things until I either wander home or take a train back). Depending on your status as a student, you may be eligible for part-time work. If you are an English speaker, your skills are probably already in demand! In the last half of my year there, I hosted English conversation tables at an English café and taught private and group lessons for decent pay. Not only can it help with expenses, but it’s a great way to meet a diverse group of Japanese (or sometimes other nationalities) from all different walks of (middle-class, urban, interested-in-English) life. A shocking number of people I know found work as models. And if you’ve got decent Japanese language proficiency, you might be surprised at how easy it is to find some translation work (I never found any myself, so I can’t actually speak to that). Japanese skills can also help you find part-time work at a convenience store or donburi place. I really only got out of the Kanto region for one week, spending a week in the Kansai area over spring break. However, Japan is more than Tokyo, and it’s good to get out and see it! Right near Tokyo, you have a number of fascinating places within a couple hours’ train ride and under $20 for travel each way. You can get to Nikko, famous for its Toshogu Shrine to Tokugawa Ieyasu and monkeys. Down south, visit the Meiji port town Yokohama and its bustling Chinatown. Go a little further and visit Kamakura’s beaches and daibutsu (giant Buddha statue) or nearby Enoshima, an island with a famous legend connected to Benzaiten and many stray cats. On the east coast of Chiba prefecture, I spent a very nice weekend at a little city rarely visited by foreigners called Choshi, stayed at a ryokan, visited a beach, and saw a number of things that broadened my view of Japan. About twice a year, the Japan Railways company offers the seishun juuhachi kippu (青春１８きっぷliterally, Youth 18 Ticket), initially targeted at Japanese high school graduates to see the country by rail before entering university. Especially spring. For a low price, you get 5 days (not necessarily consecutive) to use on all JR lines in a limited, specified time frame, something like a month (except full expresses and the Shinkansen high-speed network). It is very inexpensive (11,500 yen at the time of this writing), where a day of travel can easily cost that. It will take a little longer to get from place to place, but it is a very cost-efficient way to travel. For example, it took me eight hours to get from Takadanobaba Station in Tokyo to Kyoto, whereas the Shinkansen can do the same trip in under 3 hours (though that will run more like 15,000 yen for one trip). If you wake up early enough and are willing to spend all day on a train, it is, in fact, possible to make it all the way from Tokyo Station to Kyushu in one day’s travel. See its webpage for more details. Tickets can be purchased at most any JR station. That concludes this trilogy of posts for the time being. If you have any questions or suggestions for possible future installments, please feel free to email me at johndmoore5@gmail.com. I hope these can be of help to interested students! Japan is great, Tokyo is wonderful, and studying abroad is one of the most valuable experiences you can have in your undergraduate career. Categories: Japan Study Abroad Series | Tags: Japan, Japanese study abroad, Life in Tokyo, Student life, study abroad, Tokyo | Permalink.